Come stay in sunny south Maui at this beautiful, lovingly remodeled ocean view home with private pool. There are amazing ocean views from almost all rooms in the house and the wrap around covered deck is perfect for indoor/outdoor style island living. The crystal clear all tiled pool is for your private use with no other rentals on the property (most Maui Meadows homes have a cottage). Several beautiful white sand beaches are a short two minute drive away. This home is one of five legal private home rentals in the desired island neighborhood of Maui Meadows. We passed all county regulations and now can share our lovely property with visitors to this special island we call home (Permit #STKM 2013/0005). There are no other buildings on this 1/2 acre land - the private use of this 3 bedroom, 2 bath fully renovated home and pool makes for a memorable vacation. This home even has it's own elliptical trainer with an unparalleled view and pool table for evening entertainment. Just a short two minute drive to the beach, several restaurants and shopping. Please note that this rental is located in a residential neighborhood and we cordially ask that all guests follow the simple guidelines such as respecting the quiet hours (9PM to 8AM). Maximum occupancy is six guests including children 3 years of age and over (Children under the age of 3 are welcome and not included in the maximum occupancy guest count). QUIET HOURS ARE FROM 9PM-8AM: Quiet Hours are a County requirement for licensed vacation rental homes like this one. The SUNNY SOUTH MAUI VACATION HOME is located in a residential neighborhood and guests must be aware and respectful of neighboring properties. Noise carries at night and although our guests are on vacation, our neighbors are not. Please be aware and respect especially with spa use (ie. conversations over the jets). Please be sure that ALL the members of your group are aware of the quiet hours and will be able to comply BEFORE booking this property. We want you to have a fantastic and relaxing time on Maui - we promise we won't impose many rules, but we respectfully ask that guests abide by the quiet hours. GROUP GATHERING RESTRICTIONS: Part of a larger group all visiting Maui at the same time? 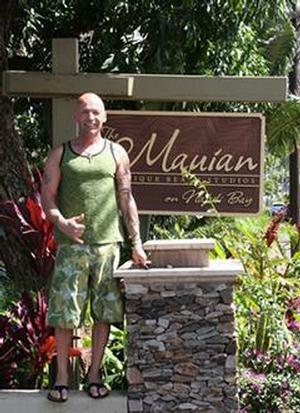 Have friends and/or family living or staying on Maui? 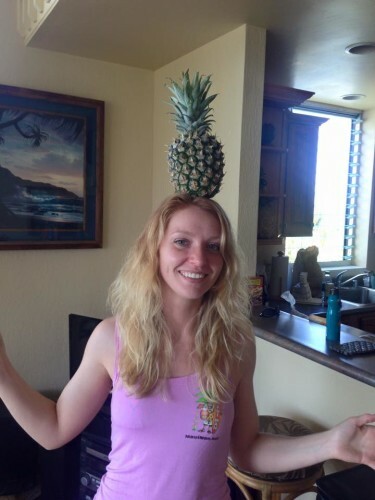 Visiting Maui for a wedding or reunion? Please be aware that this may not be the right property for you! Due to county vacation rental home license requirements, please be aware that the Sunny South Maui Vacation House is for the exclusive use of registered guests only so you will be unable to have any friends or family over to the property for shared meals, pool time, or any other group gatherings.